This won't end well for Jenny. Hands off her, Chuck! Serena is ready for a night on the town. Is NYC ready for her?!? 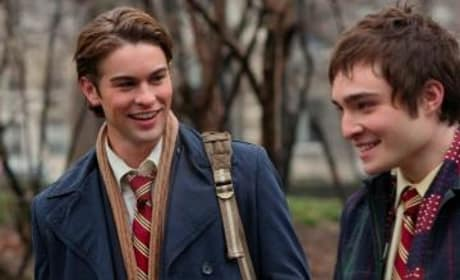 A series of Gossip Girl photos from the pilot. They give a broad idea of a few key scenes. 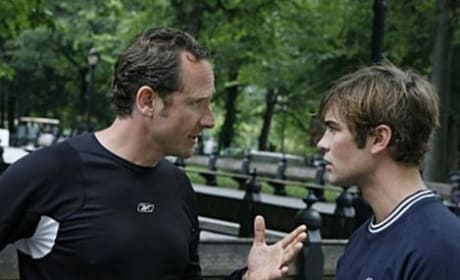 Nate gets pressure from his dad to stay with Blair. It's business related, he tells his son. 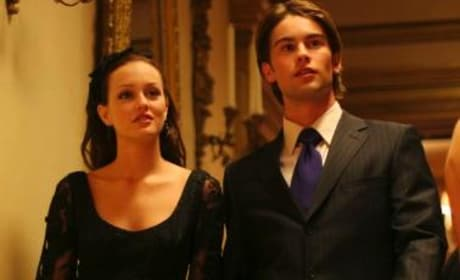 Blair and Nate seem to be a happy couple... unless Nate actually has feelings for Serena. 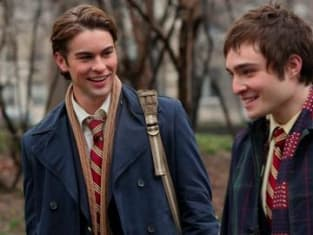 In the pilot, Nate (Chace Crawford) and Chuck (Ed Westwick) hang out at school. 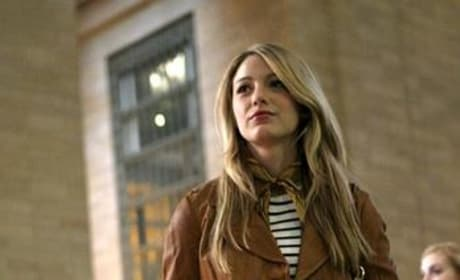 She's back: Serena van der Woodsen returns to prep school in Manhattan in the series opener. Serena van der Woodsen (Blake Lively) arrives in New York. But is she returning to the same home?